I went to visit with my Father in Bristol a few weeks ago. 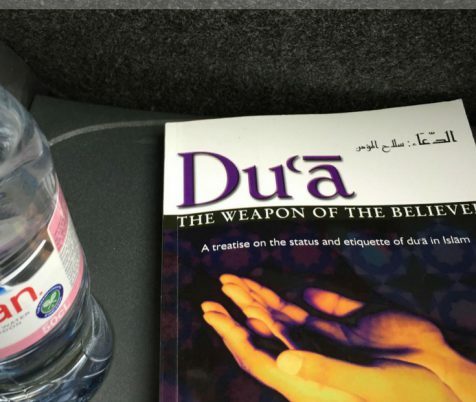 While I was travelling I was reading Yasir Qadhi’s book Du’a The Weapon of the Believer . Whilst reading I came across a section in the book that I wanted to share with you as it answered a question that a non-Muslim had previously asked me. I also posted the question on my social media platforms. 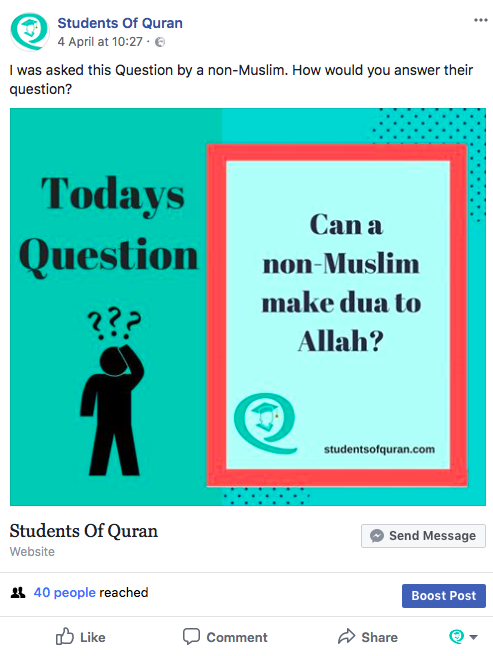 “Can A Non-Muslim Make Du’a To Allah”? 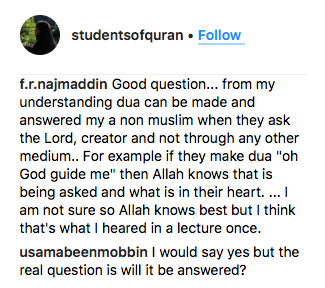 I also posted the question to a close friend of mine on WhatsApp, she decided to go and ask a Scholar who said. “It all depends on who they believe Allah is. If they believe Allah is the sun, a star or a tree etc, then no because this is Shirk (associating partners with Allah). So, as I mentioned earlier, I was travelling to Bristol from Leicester which is approximately a three-hour journey by coach, so I had time for some quality reading. 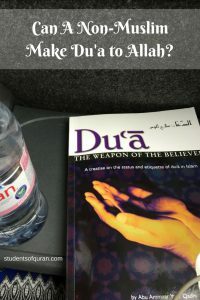 I read Yasir Qadi’s book Du’a The Weapon of the Believer several years ago, and since I was planning on doing a book review thought this would be a great opportunity to read it again and also help me prepare for Ramadan. I believe Yasir Qadi gives a clear and thorough answer to this Question. Can a Non-Muslim Make Du’a to Allah? …”When one makes a du’a to Allah, one is acknowledging that Allah exists and that He is the true Lord. The person so doing is stating by his actions that Allah controls all matters, for only Allah has the power and capability to respond to his du’a. He is admitting that Allah is the Nourisher, Sustainer, Creator and Master of the entire creation, and all of this is the essence of Tawhid-al-Rububiyyah. Even when a non-Muslim makes a du’a to Allah (even if it is by another name), he affirms all of these concepts as well. It is because of this affirmation that it is possible that a non-Muslim’s du’a is answered as well, for the response of a du’a relates to Tawhid-al-Rububiyyah. 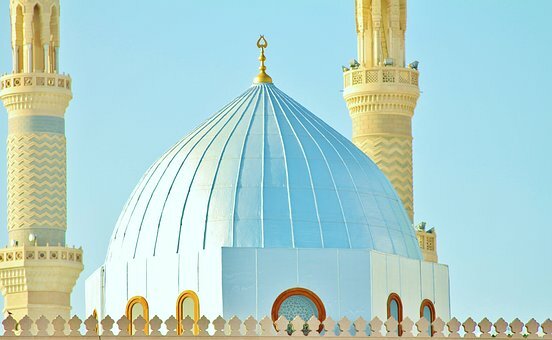 Allah mentions in numerous verses in the Qur’an that disbelievers call out to Him at times of need, and yet when He responds to their du’a they worship others besides Him. 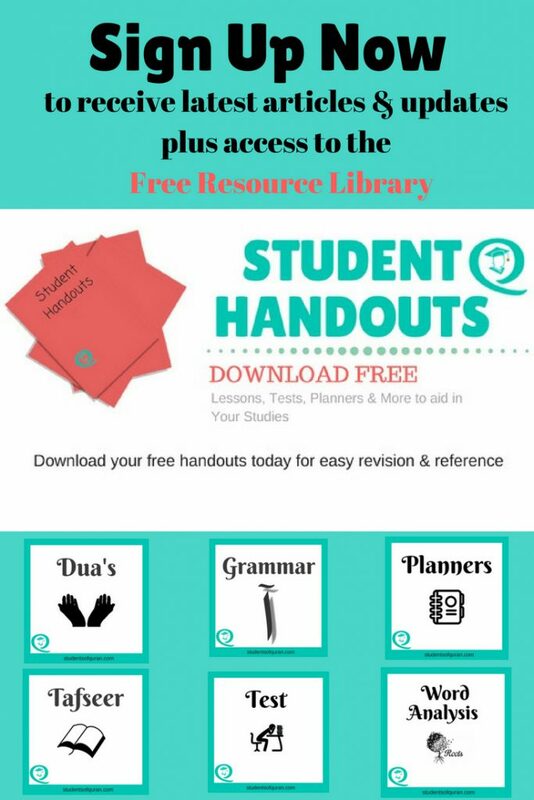 So the point is that Allah does respond to the du’a of the unbeliever as well as the Muslim, for both turns to Allah recognising that only Allah can grant them what they desire. 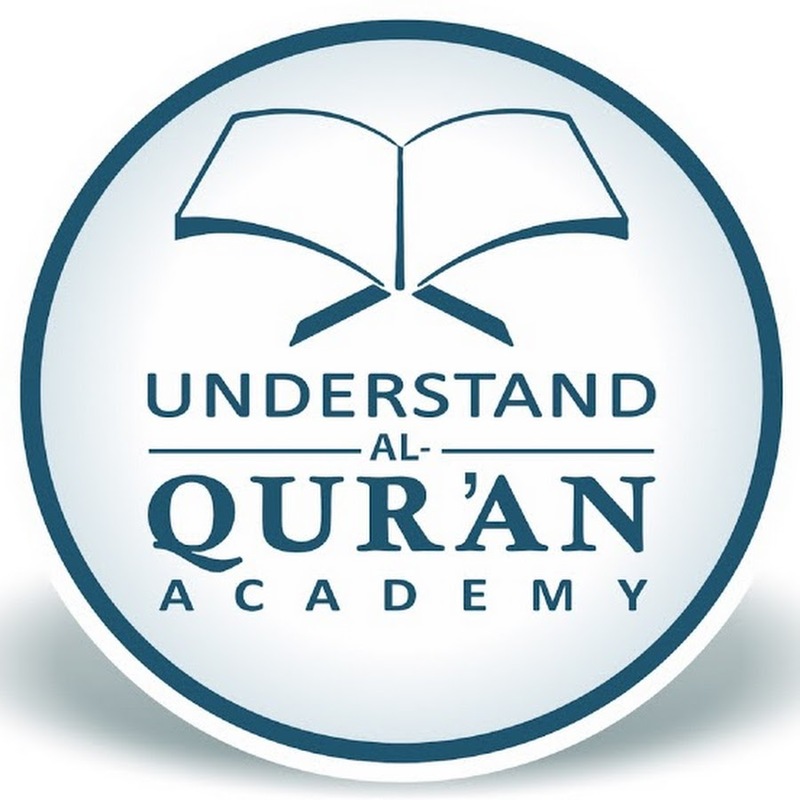 However, the du’a of the Muslim has a greater chance of being accepted, for he calls out only to Allah only, whereas the unbeliever calls out to others besides Allah turning to Allah only when he is in great distress. Dr Lawerence who was an atheist tells the story of his conversion to Islam when he called out to Allah in great distress. I highly recommend Yasir Qadi’s book. It is truly A Weapon for all Believers . If you would like to purchase the book, you can find it on My Bookshelf. It will also help you in getting ready for Ramadan. Disclaimer: This page contains affiliate links. If you buy something through one of these links you won't pay a penny more, but I will get a small commission which helps with the running costs of this website. Dua is the in depth conversation we have with Allah (The Most High) It is so important. May Allah accept it from us. Dua is indeed the weapon of all believers and one should never underestimate the power of it. I would love to read this book. Jazak’Allah Khair for the book recommendation! don’t understand why someone would ask a question like this. Of course non-Muslims can make dua to Allah because just like any other human being on the planet they have free will. Do they mean are the duas of a non-believer accepted? And if that is the case, who could possible tell someone not to? 🙂 Great job at thoroughly examining the issue. 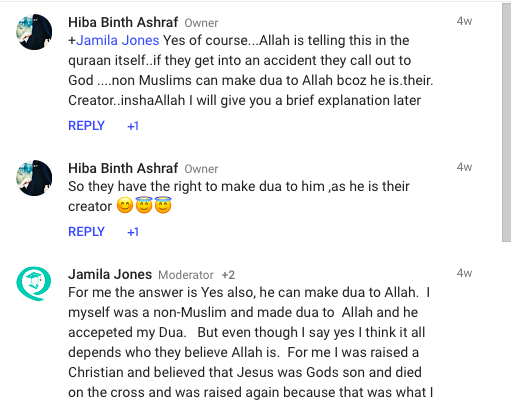 This question was asked by a non-Muslim. Yes, they are asking if they can pray to Allah and if so will it be accepted. It is good to welcome all questions, even if we may feel the answer is clear to us, it encourages understanding. 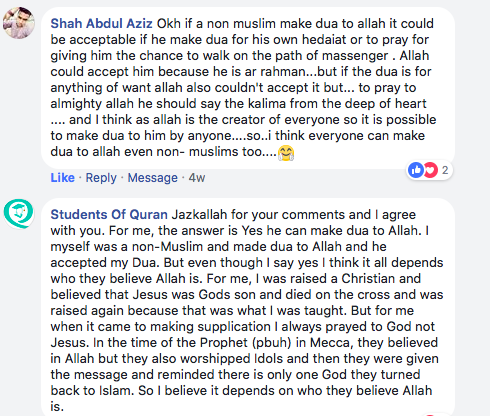 I have a family member who is a non-Muslim and believes that Allah is a completely different God from the one Christians believe in, that is her understanding and one she wants to believe. Insha Allah, I pray she may read this article or similar ones like it and get a better understanding of Islam. Jazkallah Khairun, I am glad the article has given you more awareness. 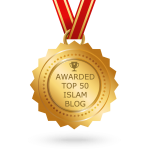 Beautiful post… I have always had this doubt, but I echo your same thoughts, that if the intention is right, InShaAllah he will accept..
My brother this is very helpful info. I don’t know alot about Islam but have been very curious about it. I have encountered several muslims and find some of the things very interesting even if it is the opposite of my faith. I’m a Christian man who believes that only by us all working together that we can make this word a better place. Amen. My brother I’m happy that you’re giving us more info about your faith. This is very helpful to me for I am Christian and I do believe that the more we understand one another’s cultures and believes then we can both make this world a better place. This is a pretty detailed analysis of the issue, may Allah keep our hearts pure and open to His Greatness.